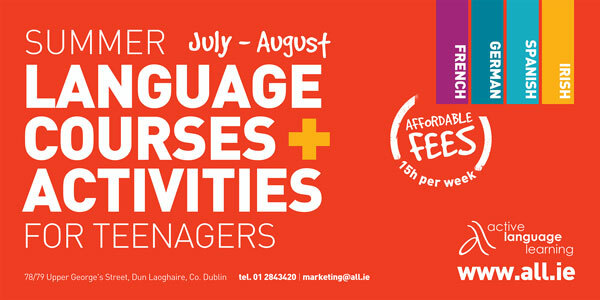 Every year, Active Language Learning offers courses for teenagers living in Ireland to study French or Spanish in July at our summer school in Rockford Manor secondary school. 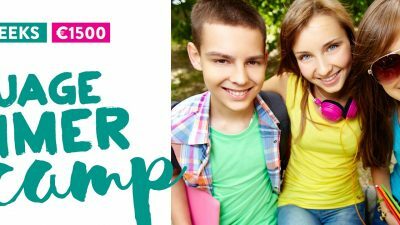 We are Dun Laoghaire’s longest established summer camp for Irish students who wish to improve their foreign language skills . 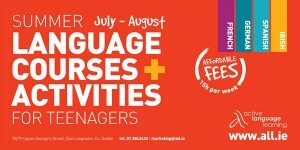 Our school has offered English Language courses for 30 years to non-native speakers, including French and Spanish students who come to the Dun Laoghaire area to study English. Our school gives Irish teenagers the ideal opportunity to meet young people their own age who are speakers of the language they are studying. We have courses for one, two or three weeks. Students study their target language every morning for three hours – in a week in our school, students study the same amount of material as they would in six weeks at secondary school. In the afternoon, students play sports, have cookery, music, computers, dance, art classes or go on tours around Dublin. Students do these activities with French/ Spanish students. This provides them with lots of time to chat using the language skills they have learnt during the morning. 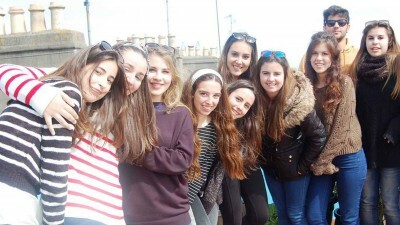 They can also learn about the culture of Spain and France and what life is like for young people in those countries. This is a vital part of both Junior and Leaving Cert French and Spanish syllabuses. The social activity aspect of our course is a great opportunity for students to learn about culture and day to day life for young people around Europe. Students enjoy that this happens naturally through games and activities, rather than in a classroom. Three times a week we run evening activities such as discos, ceilis, movie or quiz nights. These are optional for the students on the French and Spanish courses. Each weekend we also offer full day excursions to interesting cultural destinations like Glendalough, Kilkenny and The Boyne Valley while still interacting with our foreign students. Our teachers are native speakers of French/ Spanish and the focus is on speaking and listening skills and improving the range of vocabulary which students have. Classes are small with a maximum of fifteen students, so these courses are a great way for shier students to shine.